Even after a 60 pct devaluation, Harare’s monetary credibility is irreparably broken. That should make it an ideal test case for distributed ledgers replacing ropey central banks. Yet citizens’ justifiable distrust of the state doesn’t mean ceding monetary control is an easy fix. An illegal money changer counts dollar notes in Harare, Zimbabwe, January 10, 2019. 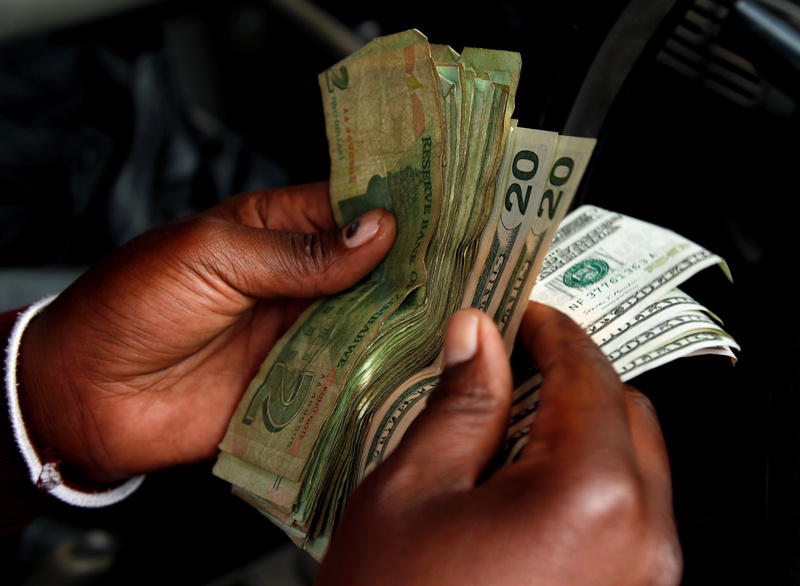 Zimbabwe’s central bank said on Feb. 22 it was devaluing its domestic currency by 60 percent against the U.S. dollar. Finance Minister Mthuli Ncube said on Feb. 25 the new currency would be backed by fiscal discipline, adding that the government would allow it to fluctuate but would manage excessive volatility. Before the devaluation, Zimbabwe’s de facto domestic currency, which had a nominal 1:1 value to the U.S. dollar, was trading at a discount of as much as 75 percent. Harare scrapped the Zimbabwe dollar in 2009 after hyperinflation that topped out at 500 billion percent. In its stead, it adopted the U.S. dollar and South African rand.